We’ve recently been sent a couple of enthusiastic reviews from customers who came to visit us in our new place to upgrade instruments they bought from us in Scotland several years ago. 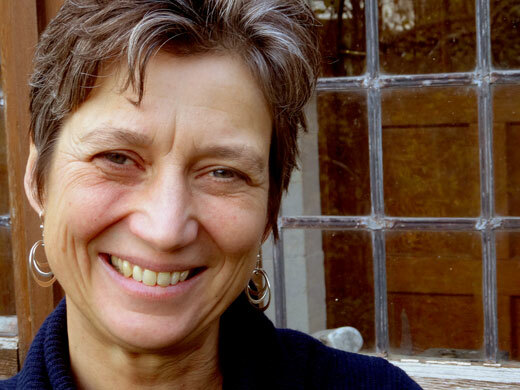 Look here to read the reviews from Tam Mott and from Zia Roberts (pictured). 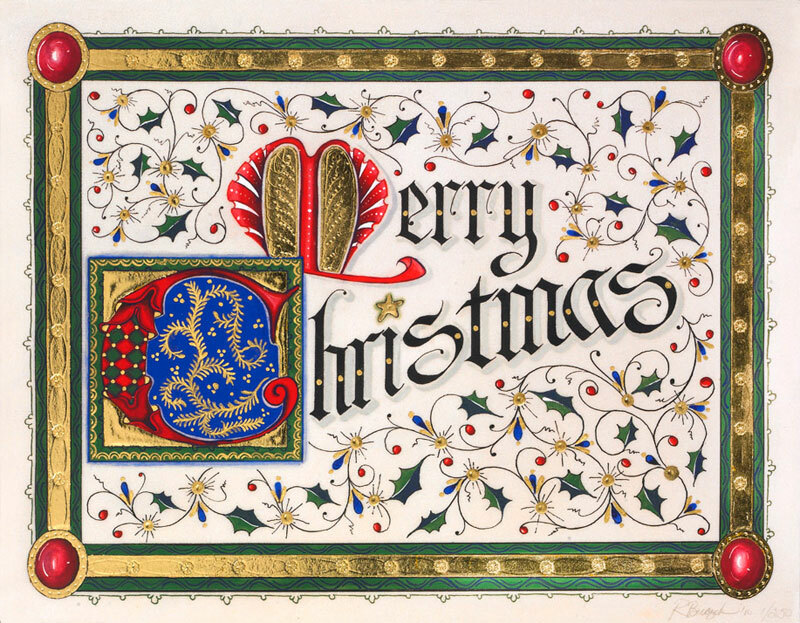 We will be taking some time off over the Christmas period, but we are still contactable by email or phone. 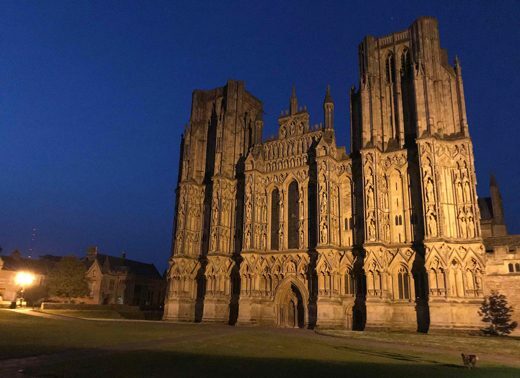 We are now permanently installed in Wells, Somerset. The short version is: if you sign up to our email list, we will send you occasional email newsletters, but we won’t do anything else with that information. You can unsubscribe at any time. If you contact us directly we will keep a record of information you send us, so that we can handle your enquiry effectively. But if you ask us to delete your data, we will. We do not hold or process any sensitive personal data about our customers. Our website uses a few cookies, but you can disable cookies on your browser if you wish. We’ve also reviewed how we keep data secure, and have tightened up a few things. It’s been tedious, but ultimately a useful process. Where did the winner of “BBC Radio Scotland Young Traditional Musician 2017” find his violin? Charlie Stewart spent many months searching for a violin when he was still a teenager. When he came to us we paired him up with what we call a ‘campfire strad’. We don’t get a lot of them, and tend to keep them back for talented youngsters who can’t afford a big name violin. Charlie’s violin is a Salzkammergut from the early 19th century. We’re delighted he won the Young Traditional Musician of the year award on our fiddle! If you want to hear more of Charlie’s music, look at the website for his band, Snuffbox. We’ve been putting a lot of bows up on he website in the past couple of days – take a look at the new arrivals page. We have ongoing relationships with musicians all around the world. Read this review from a loyal customer in Lebanon. It’s always a joy to get positive feedback from customers. 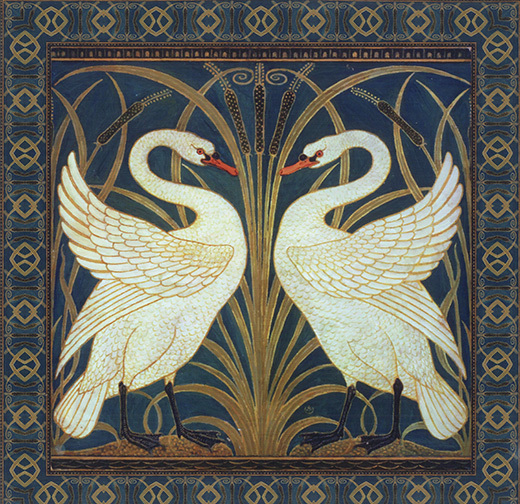 We just posted reviews from Tuck Loke and from Tom McNeill. 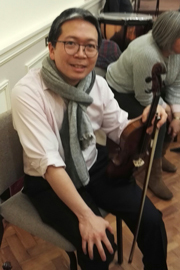 John Coultard searched for a long time to find a violin which suited him and finally bought a MSV violin: “I wish I’d had an instrument of this quality from about age 14/15, however it’s better late than never!”. Our website has a new feature – a powerful search button! We’d be really interested to get feedback on how this works for you. That’s a great opening line to a customer email! Read the full review from Shelagh Winship here. 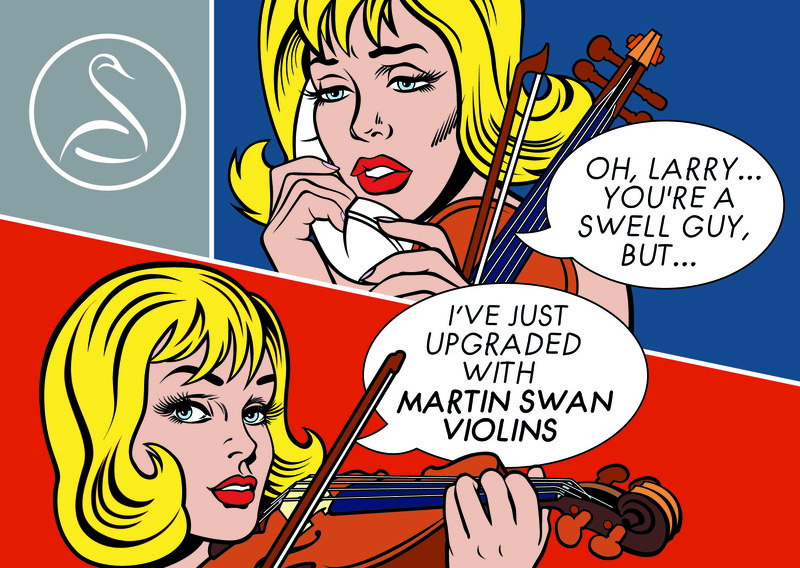 Martin Swan Violins fan art! We just got sent some violin fan art! “Surpassing Expectations” – we love it – thank you Tim C for making this wonderful collage for us. 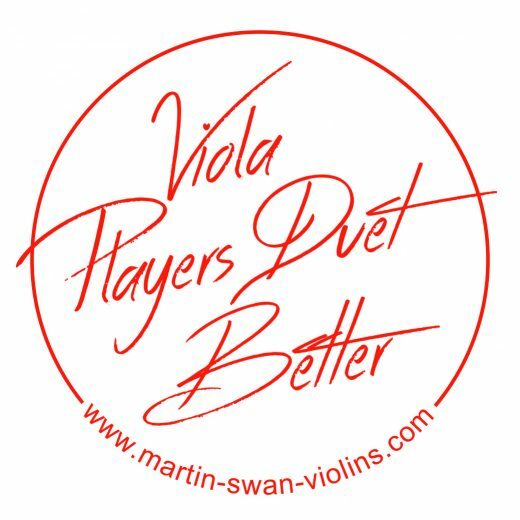 Viola Players Duet Better – claim your free viola case sticker! We have 50 free viola case stickers to give away – first come, first served. 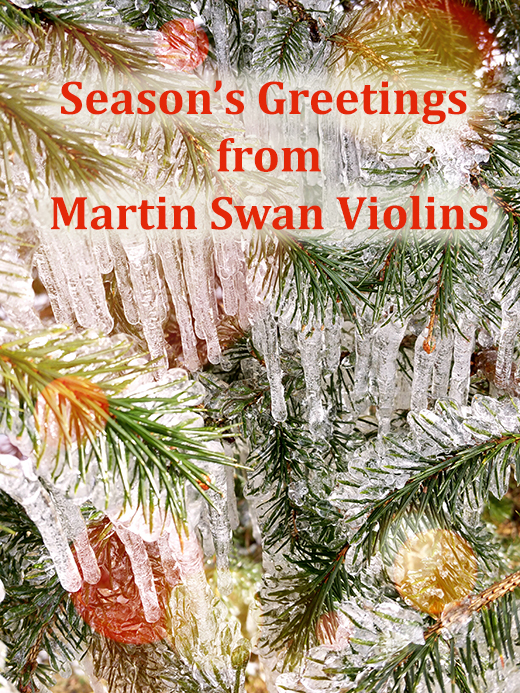 Email anna@martinswanviolins.com with your postal address and I will send one out to you (we work worldwide, so it doesn’t matter where you live). I’ll also subscribe you to our viola email newsletter – you should get your first newsletter in a few week’s time. If you like it, you can stay subscribed and if not, it’s easy to opt out. 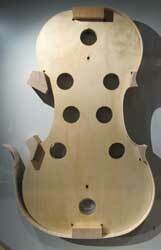 The Secret of Stradivari Finally Revealed! 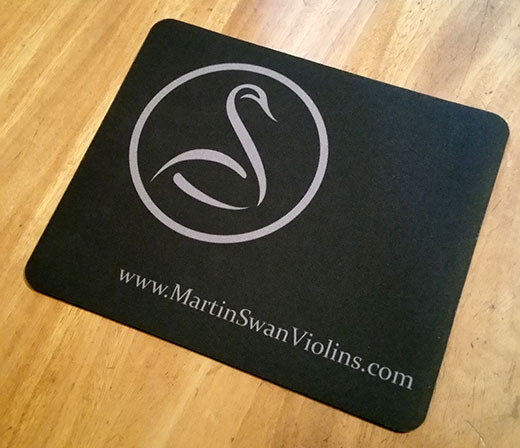 UK customers – would you like a free Martin Swan Violins mouse mat? We have some mouse mats to give away. Priority to UK customers because of postage costs – but if you are beyond the reach of the UK postal service it’s worth remembering that flattery can work wonders! Click here to read the article in the Guardian Weekly. 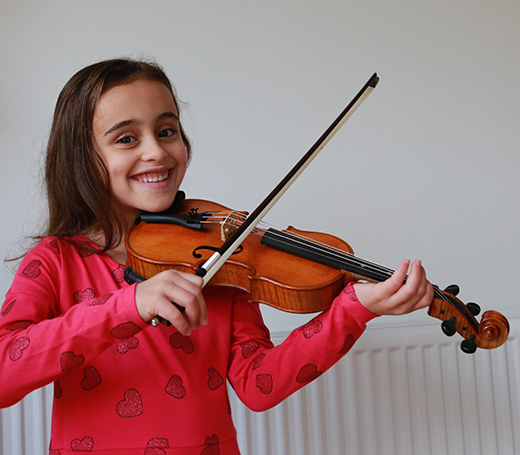 It’s lovely to get hear from customers who have bought instruments from us in the past. 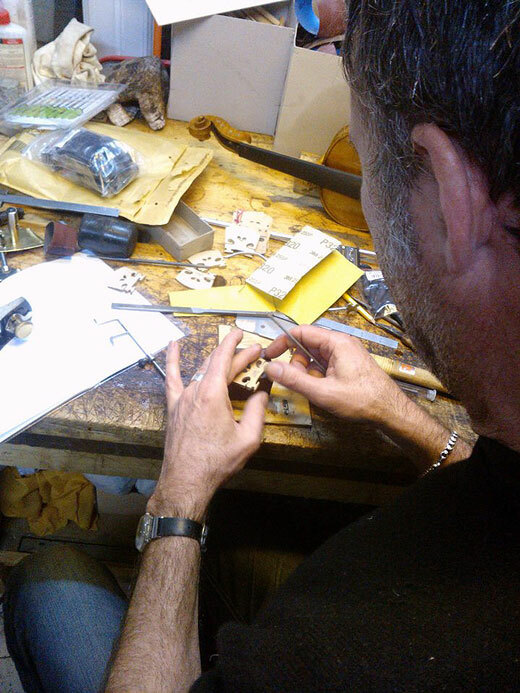 If you bought a violin from us some time ago do let us know how you are getting on with it. 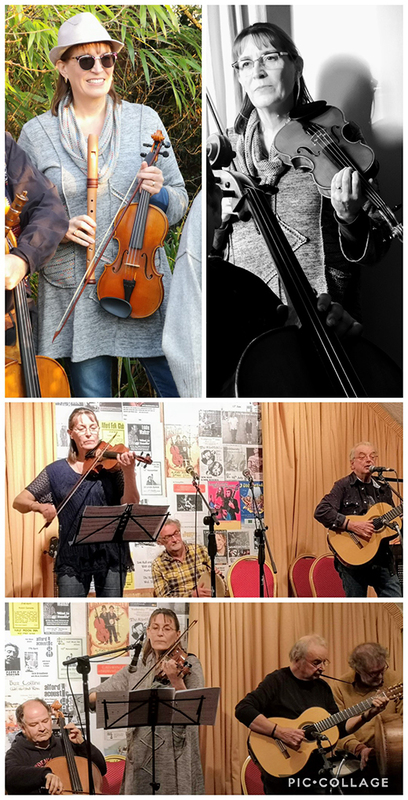 We just got this facebook post from Zia Roberts, whose musical life has clearly been flourishing since she was given a violin as a birthday present three years ago. 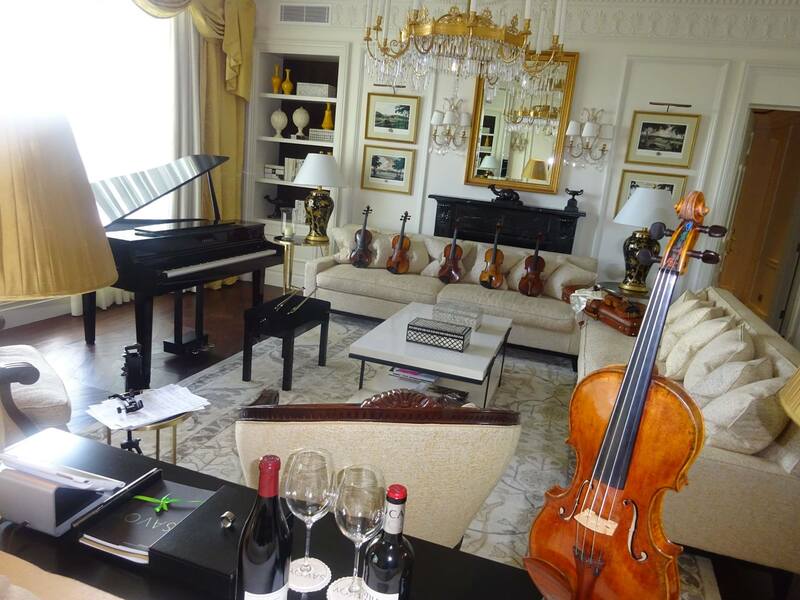 We dropped of some off our violins with a customer who was staying at the Savoy Hotel in London last week. It looks like they made themselves comfortable! 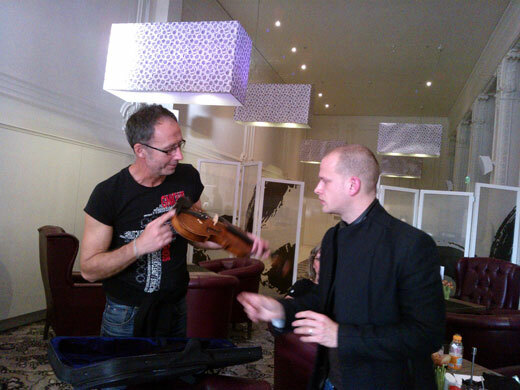 The violins were all put through their paces in a private concert and the Joseph Calot was the clear winner. 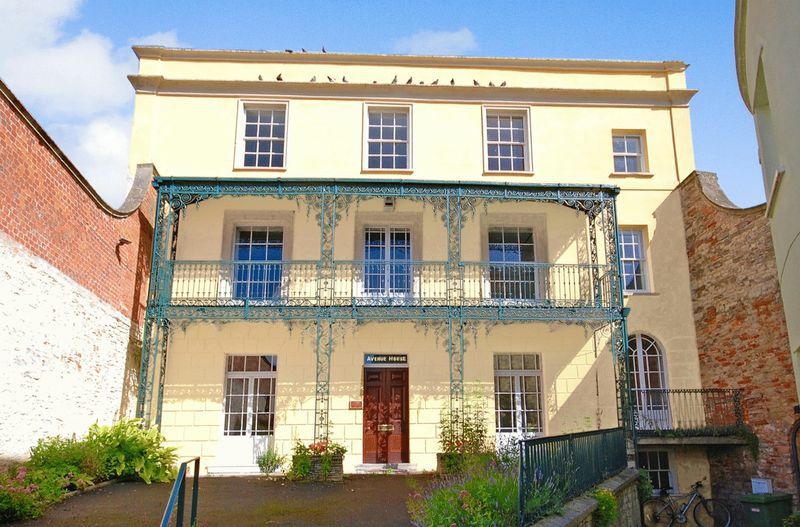 It’s now sold (though, contrary to rumour, not to George Clooney, who had already ‘left the building’). 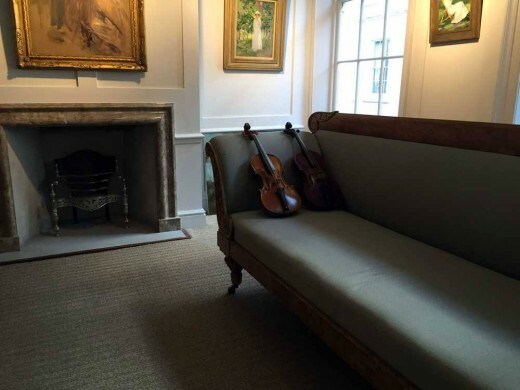 Scenes from our occasional London violin shop in St James’s Place … many thanks to Patrick for the use of his beautiful room. If you would like to try out any of our instruments we can meet you here by appointment. 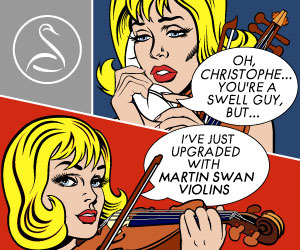 Would you like to review Martin Swan Violins? 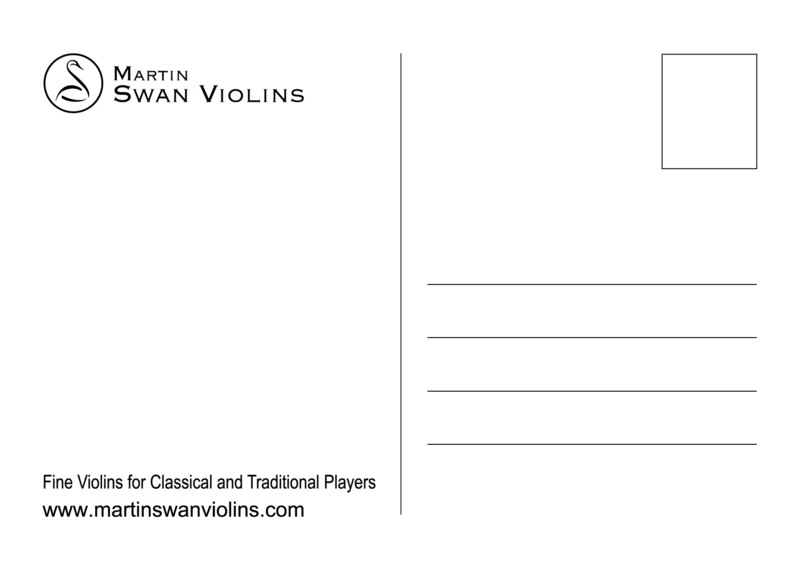 If you feel inspired to review Martin Swan Violins you can either write us whole letter about how wonderful your instrument is and exactly how we helped you choose it, or just say a quick thanks or tell us about an exam or concert. You are welcome to email us, but alternatively, you could use our new review submission form. We can also put up a photo of you and links to videos of you playing and to social media pages if you would like. A violin blanket to keep your instrument snug! Free offer for all our customers – if you’ve bought a violin or bow from us in the past we’d be happy to send you one of our violin blankets – just email anna.ashmole@gmail.com. We even have small blankets for part-size violins. 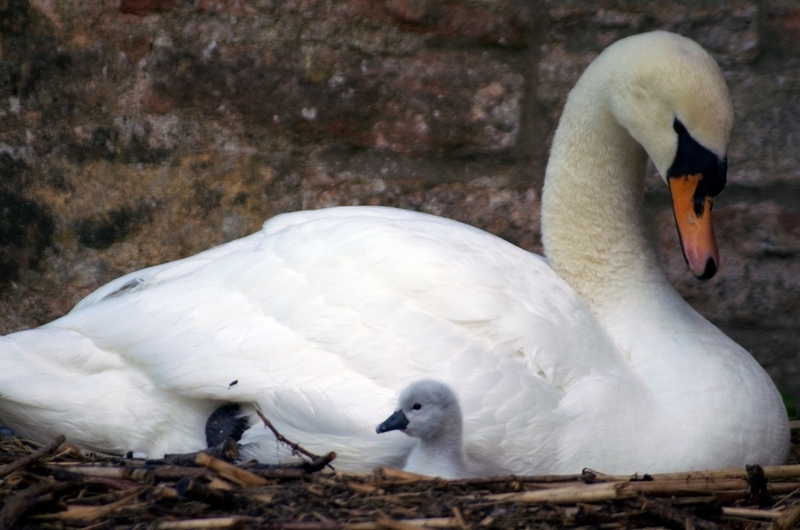 If you’re not a customer and would like to buy a blanket they cost £10 – contact us to arrange payment. If you’d also like to be in our ‘hall of fame’ include a photo or video of yourself with your instrument, and a few words about your experience of choosing a violin/viola/cello/bow from us. Just picked up a batch of violin blankets – these new ones have our Swan logo on them and we’re really pleased with the results. 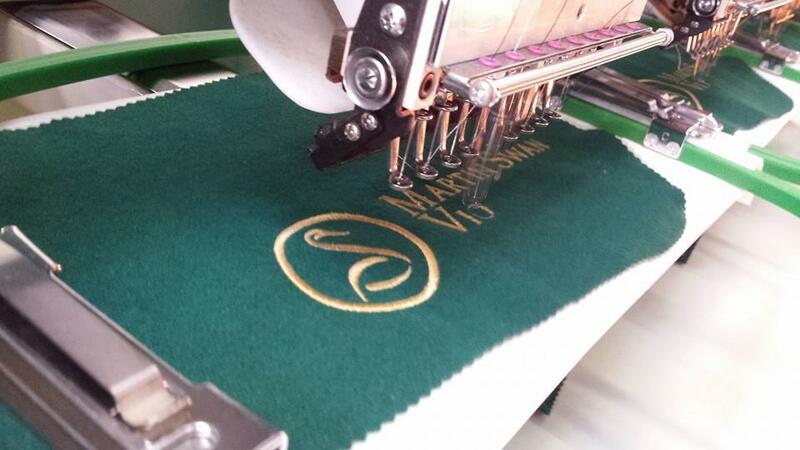 If you’re a past customer and feel that your violin deserves a blanket, get in touch with us! It’s great to be able to support Scotland’s Big Noise – the children’s orchestra project inspired by El Sistema in Venezuela. 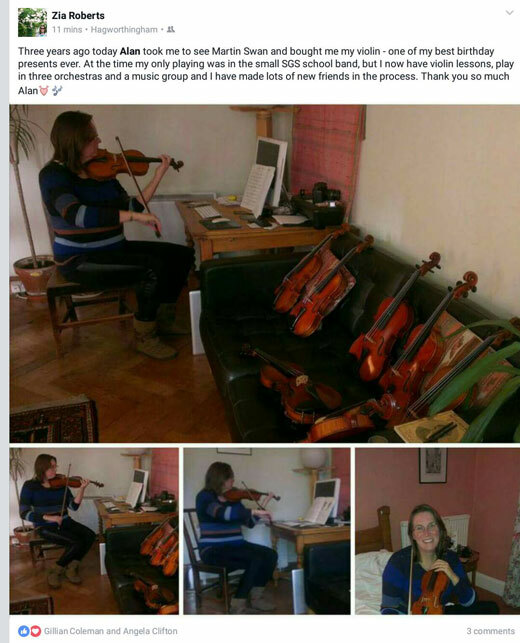 We just gave them four of our new handmade violins for use by some of the senior students, and hope to be able to donate more violins to Sistema Scotland in the future. 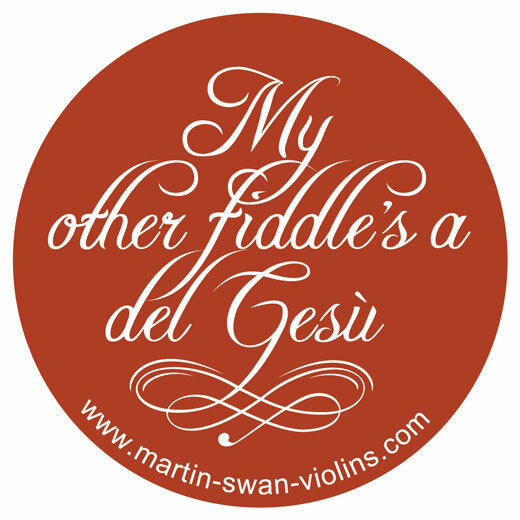 A sticker for your violin case (or any other creative use). Free to customers and anyone else who feels like persuading us that they deserve one! 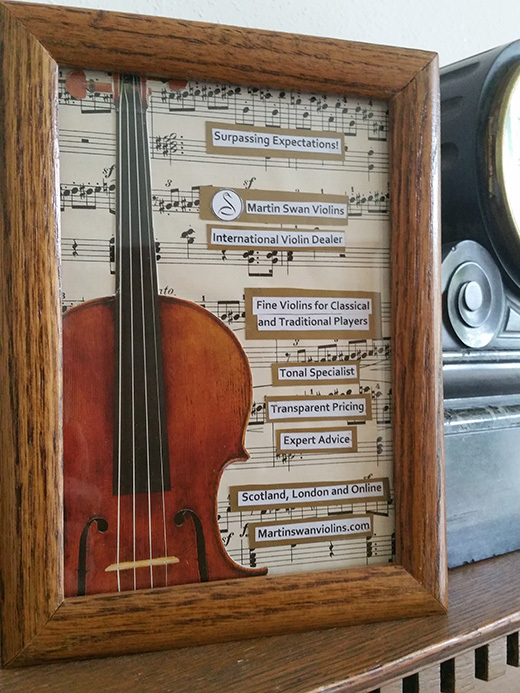 From the very first moment I contacted Martin as I was interested in the small violas I saw on his website to replace mine, I could see his high involvement, knowledge and professionalism. Every conversation with him about their instruments, identifying some of mine, description of sound, its facilities and commitment to its advice has led to an atmosphere of mutual trust and a source of knowledge for me. 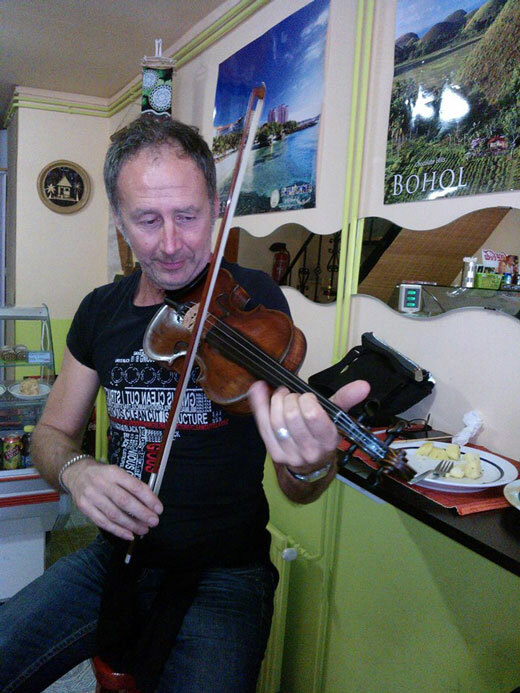 Now I enjoy my small Janos Spiegel viola, comfortable and with a great sound. 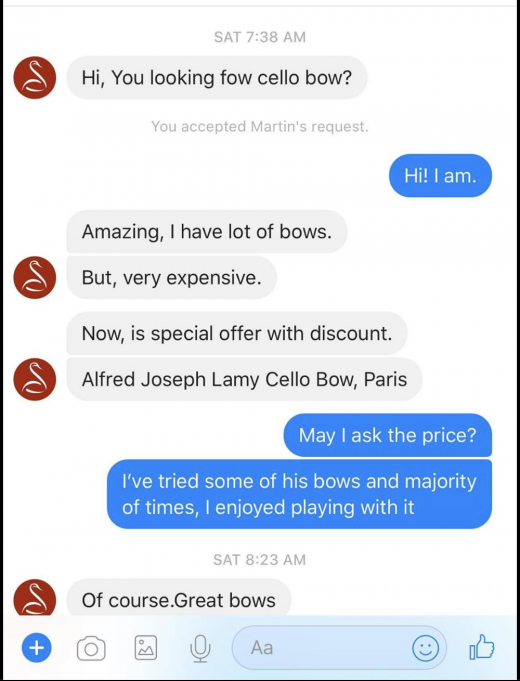 I agree with some other customers here the best of Martin Swans Violins is Martin himself and you could find your dream instrument there too! 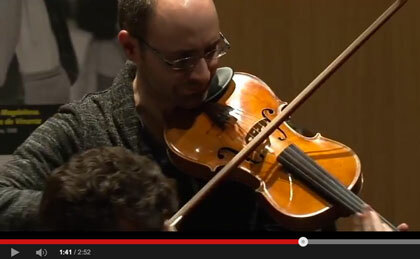 At 1:41 in this video you can see me playing my viola at a weekend in Burgos, Spain. First of all, try not to drop your violin bow! 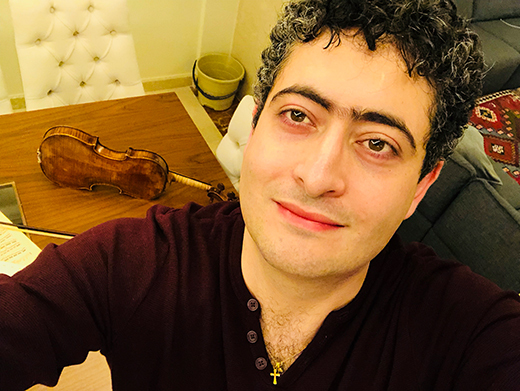 We all have a few good luck stories – I once dropped a violin bow down an entire flight of stairs in a Croatian winehouse and a friend who used to work in a leading London violin shop once dropped a famous customer’s Tourte in full view of the customer. There’s also a YouTube video of Nicola Bennedetti losing control of her bow in spectacular fashion when in rehearsal with the Royal Scottish National Orchestra. 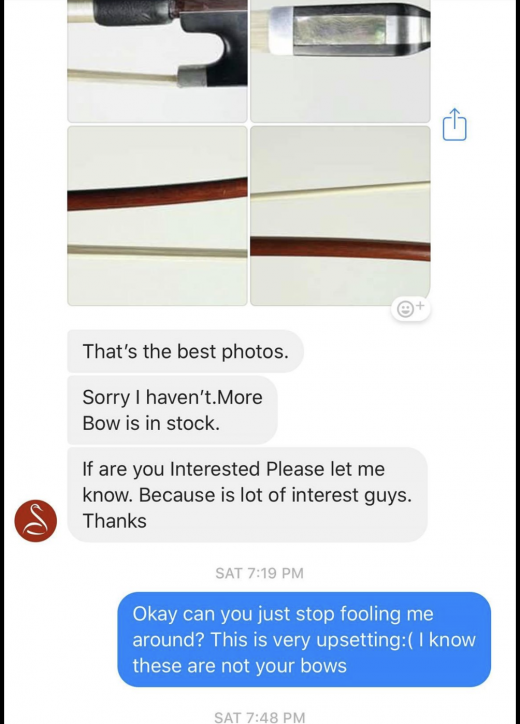 Looking to visit a violin museum? There is a new searchable map of violin museums around the world. 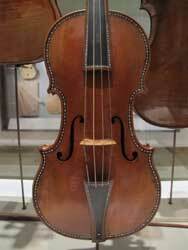 For anyone interested in looking at famous violins close up this list of violin museums is a godsend. 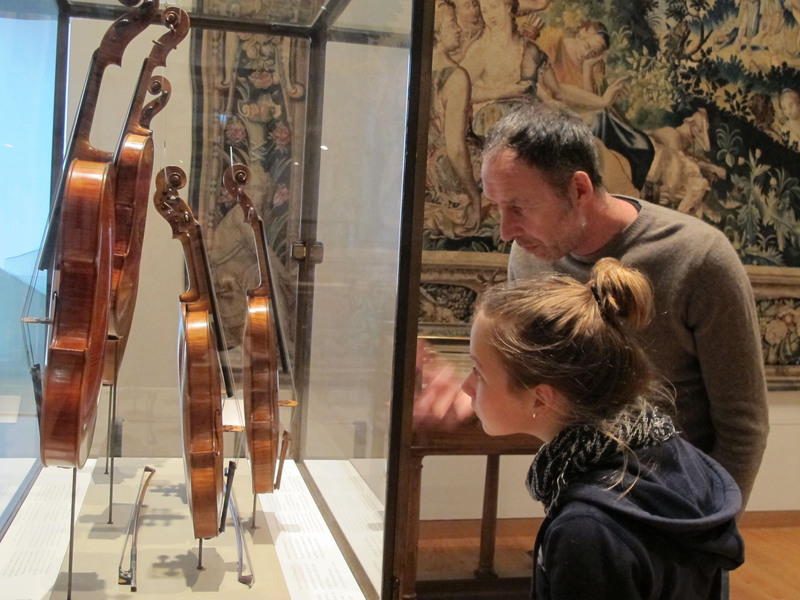 If you are travelling you can check to see if there is a museum nearby which has a collection of violins. 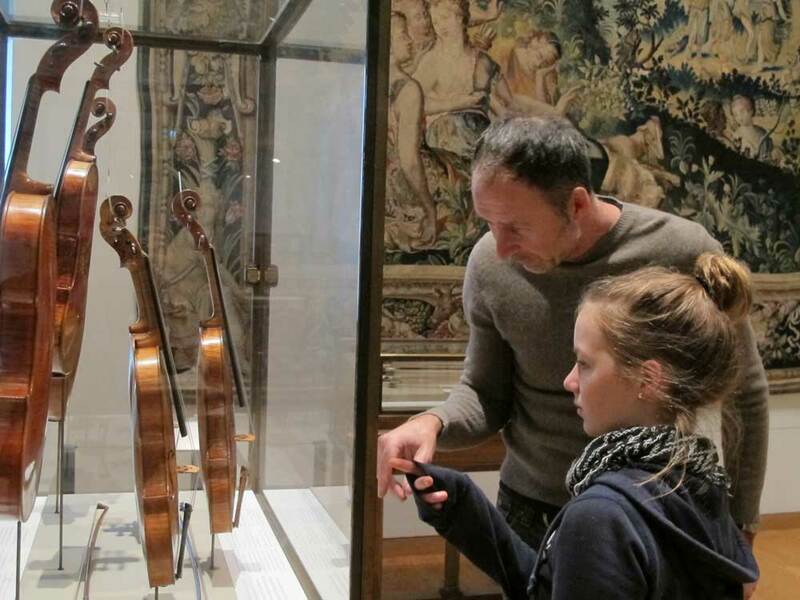 There are links to the museums’ own sites so you can see, for instance, that the Ashmolean Museum in Oxford, displays several violins by Andrea Amati as well as the famous Stradivarius ‘Messiah’ violin. I knew about the Museo del Violino in Cremona, but not about the Museum of Musical Instruments in Poznań, Poland, which includes violins by Italian masters such as Amati, Testore, Guadagnini and Maggini. The museum list is being put together by Stephen.Churchill@gmail.com and he welcomes new entries – so if you think he’s missed something, or even if you find a single important antique violin in a regional museum let him know so he can add it to the list. 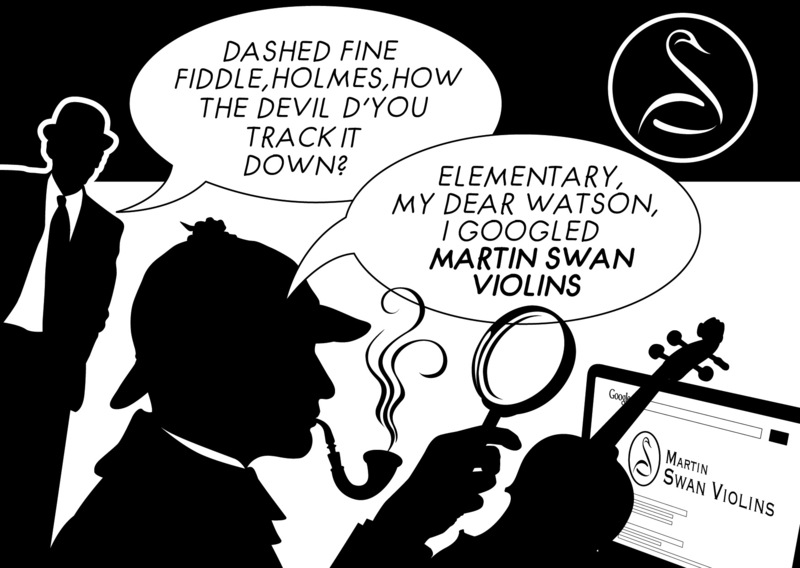 Dashed fine fiddle, Holmes… how d’you track it down? Still on the hunt for violins … this was a more salubrious meeting-place, and a very nice antique violin. In the Hotel Nemzeti coffee shop with Sosa Kodaj. What is the Titanic violin and how much is it really worth? In most aspects of running a business together, Martin and I agree, or at least manage to converge to a common position. The only thing I really hold against him is that a couple of years ago he had a fit of irrational tidiness and sold our collection of violin mutes… He’s promised never to let one go again and I am slowing re-building the collection. The Suzuki Method – only practice on the days you eat! 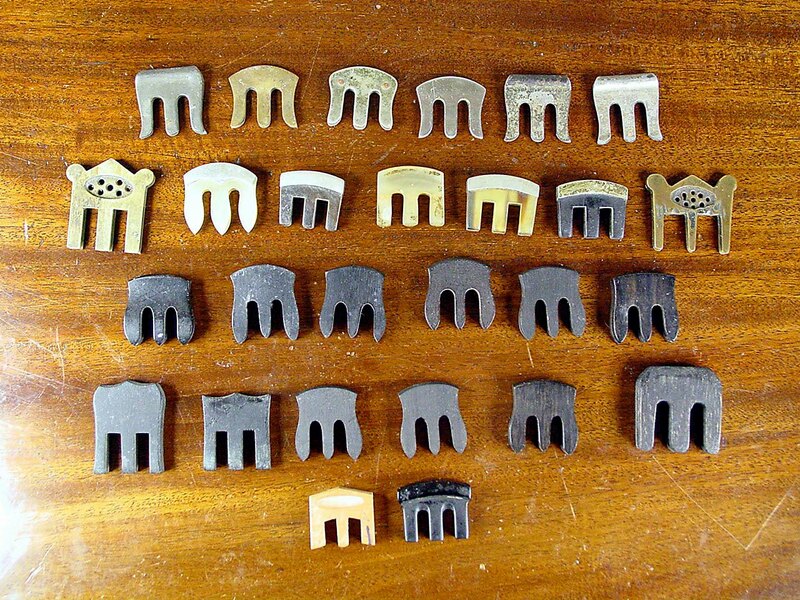 How old is your violin? Date it by analysing the growth rings in the wood. 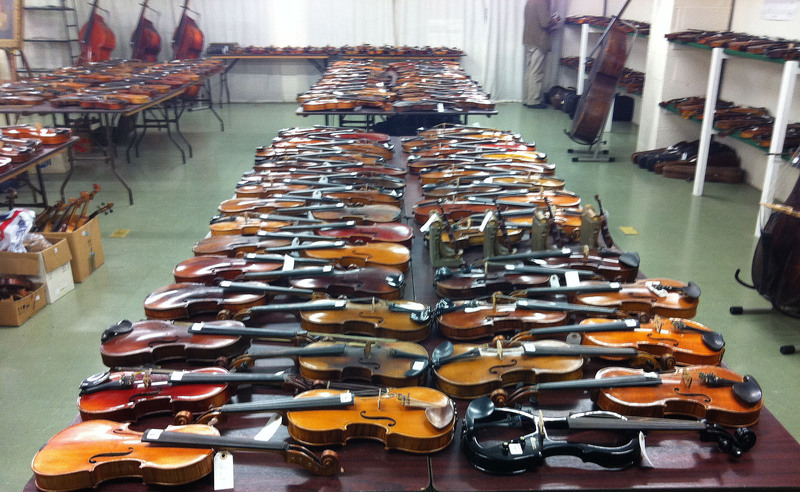 20 Dec 2912: Photos from a recent stringed instrument auction. 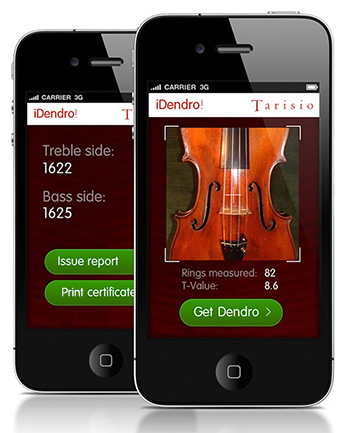 You might also like to read our FAQ about how to buy a violin at auction. 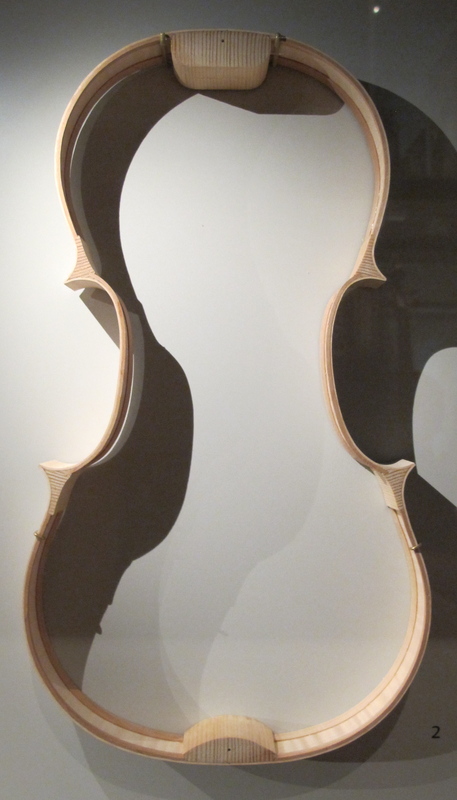 20 Nov 2012: The Ashmolean is famous for the Stradivari Messiah, but it also has several wonderfully austere Amati violins and this fabulous decorated Stradivari. We went to visit the museum last week. 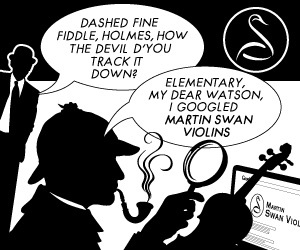 19 Nov 2012: Violins for beginners: the naming of parts. From a display in the Ashmolean Museum. 19 Oct 2012: Violins for beginners: this display in the Ashmolean Museum is a useful starting point for understanding violin construction. 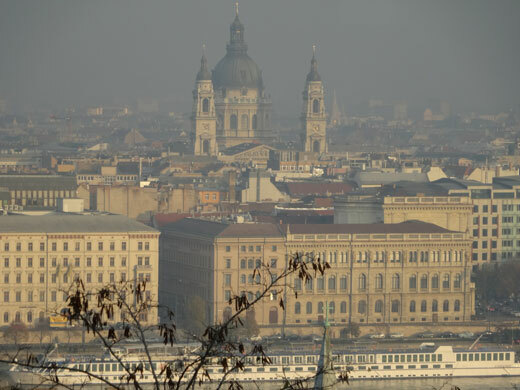 18 June 2012: The Fritz/Curtin ‘double blind’ experiment attempted to find out how easily players could distinguish new violins from old Italians such as Stradivaris. The same researchers are now interested in finding out how closely a player’s estimation of an instrument’s projection corresponds with that of a listener; how much a listener’s opinion depends on where they sit in the hall; and whether instruments that are quiet under the ear can indeed project well. Take a look at this on-line discussion of the issues on Maestronet. The experiment is still being designed – there’s already a lot of debate about its objectives, and about how it might achieve them. And of course there’s no agreed definition of “projection”, or any agreement about how (or why) a contemporary violin-maker might pursue this particular quality. It’s all shaping up to be at least as controversial as the “old vs. new” experiment. Mutes : do they all sound the same? 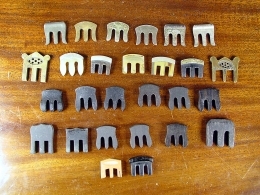 We would be happy to lend our collection of violin mutes for the purposes of acoustical research.